What is Percent Compaction of Soil in Foundation Engineering? In the previous post we have discussed about compaction and consolidation of soil. In this post we will have an idea about a comparison between dry density in field to maximum dry density. Thus percent compaction of a soil mass is a ratio of dry density in the field to maximum dry density. 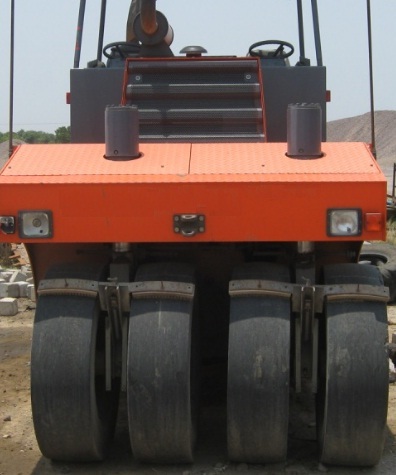 In case of cohesionless soils, a percent compaction of 100% or sometimes even more can be achieved using vibratory rollers, pneumatic tyred rollers or other means of vibration application compactor machine. In case of cohesionless soils special means of compaction with necessary moisture content can produce up to 95% percent compaction. The term percent compaction is very important in geotechnical engineering as engineers sometimes increase bearing capacity to considerable amount and they specify this defining compaction methods and evaluate the compaction efficiency by percent compaction. When a desired percent compaction is achieved, the foundation engineers can fix foundation size and other parameters using increased bearing capacity of foundation soil.